On Thursday 3rd December we will be celebrating!! I will be holding an online scrapbooking class at 7.30pm (Brisbane time), hosted by the forever generous Bon Johnstone of BON’S SCRAPS. All you need to do is REGISTER in the FORUM with Bon’s Scraps prior to the 3rd December – it’s that easy! You will have access to the classroom and a live forum chat with me and the other scrappers participating. Cost of the class will be $10 (EFT details to follow) with all proceeds going towards the equipment needed at Rainer’s school in their newly acquired SENSORY ROOM. YOU CAN’T MAKE IT ON THE 3rd DECEMBER? I am setting up a separate blog/ning community where I will run yet another online class at a later date. 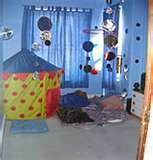 So, what is a SENSORY ROOM? For children (and adults) with SENSORY PROCESSING DISORDERS (whether it’s autism, aspergers, ADHD, depression or anxiety), we need specially selected items to stimulate some senses and decrease others – depending on the need of the child. 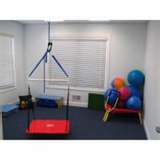 Here are some examples of a variety of Sensory Rooms around the world, and the types of furniture and toys on the Wish List. We have 2 already at home LOL. One for the kids and one for the adults. So I hope you can join in the fun and help out some precious children at the same time. 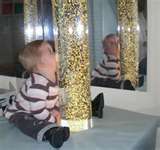 Hey GiWell done you for trying to raise funds for the schools sensory room. The school I was in in London, was an inclusive school, which had a sensory room, these rooms are just brilliant if you can have the money and resources to equip them, and a great 'space' for the children to chill out. What a great cause. I will see how I go bout joining in, maybe at the one on a later date. Will be in transit – heading home! – on the 3rd!!! oh yeah i'll be there definitely!!!! I'm definitely in for the 3rd Gigi!! Can't wait for your class and hope it helps you to achieve your very worthy goal!! !